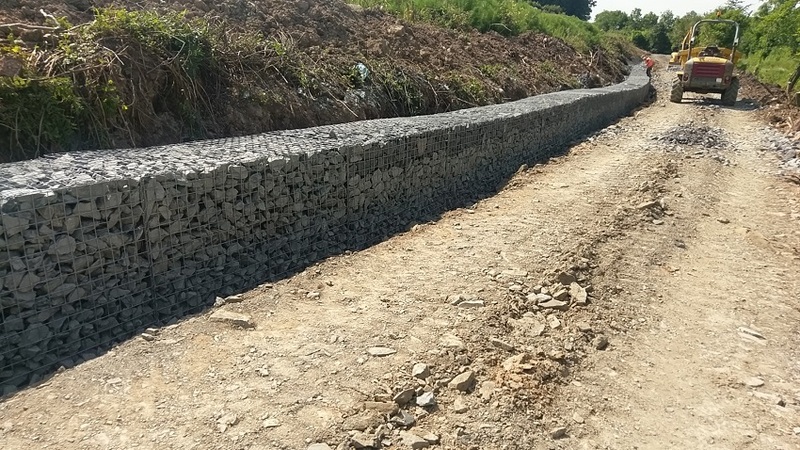 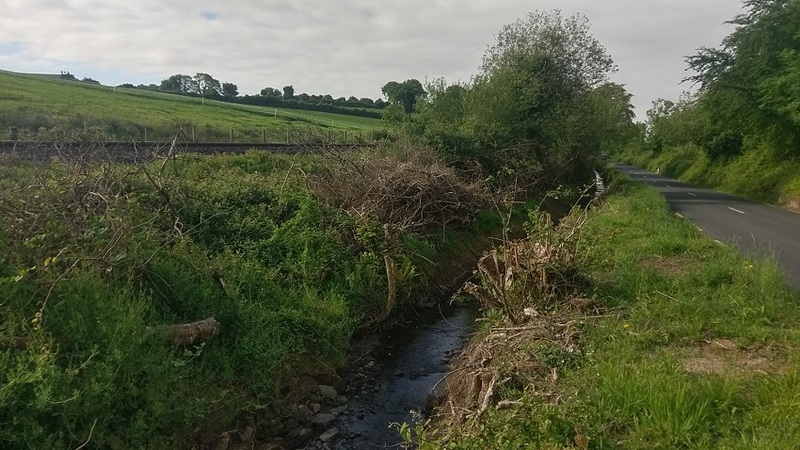 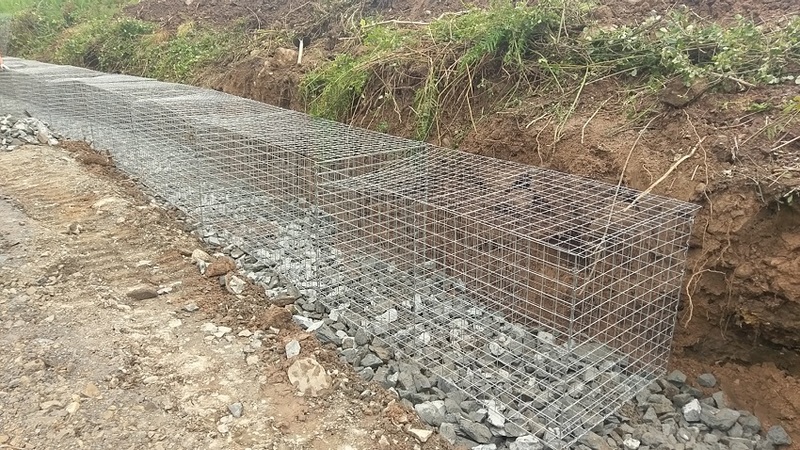 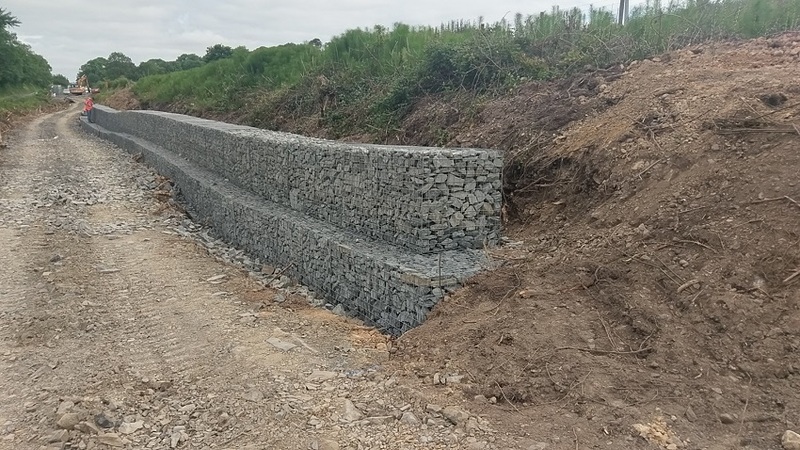 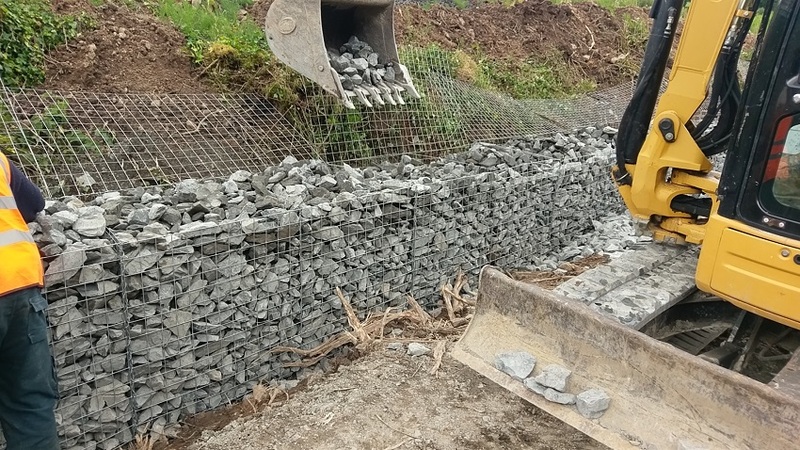 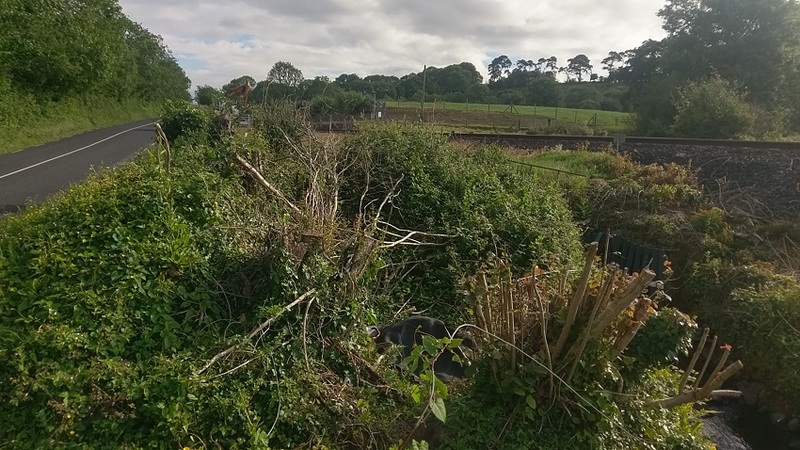 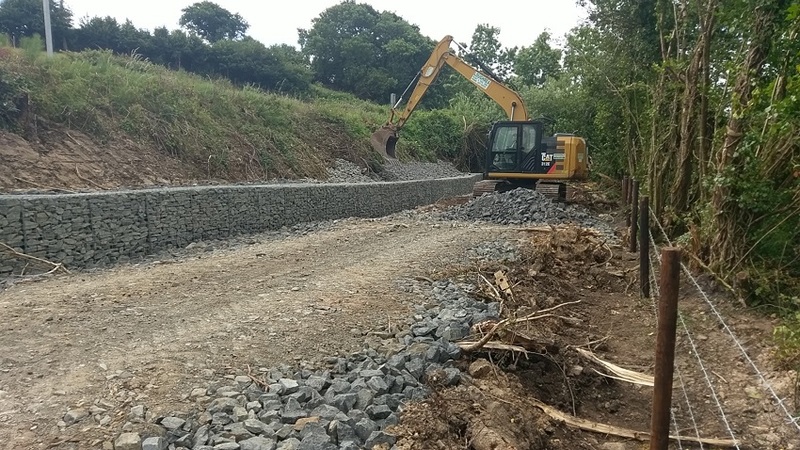 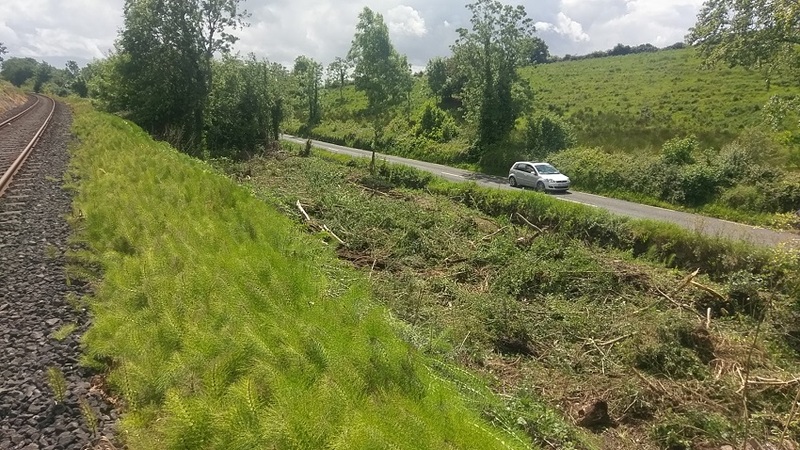 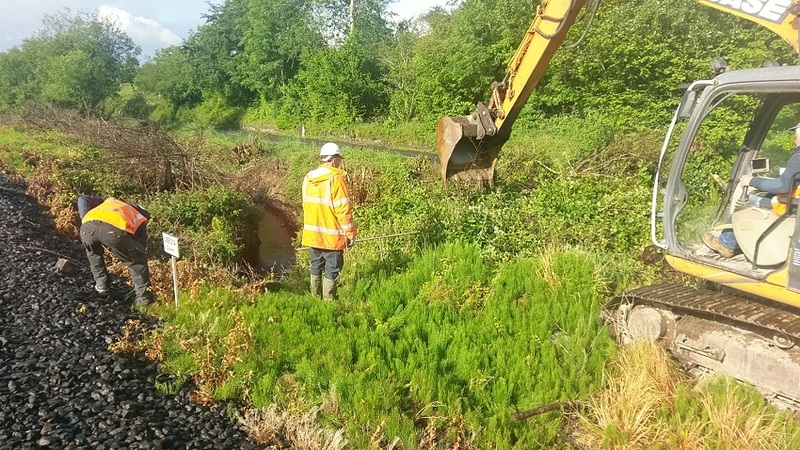 Clear away existing overgrowth and vegetation, construct new gravel haul road along bottom of existing embankment, install stone gabion baskets to bottom of embankment to help stabilise existing embankment. 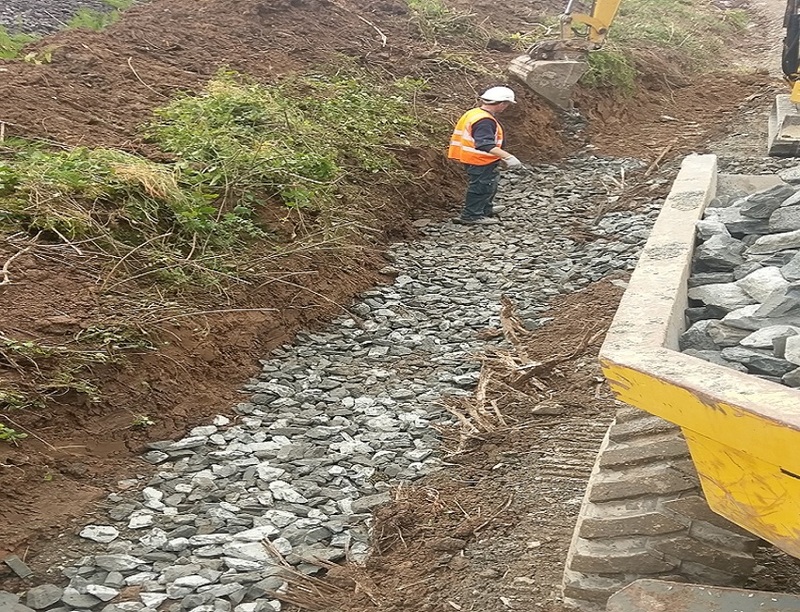 Back fill with broken stone to aid drainage, install fin drains to assist embankment drainage and pipe out to existing stream. 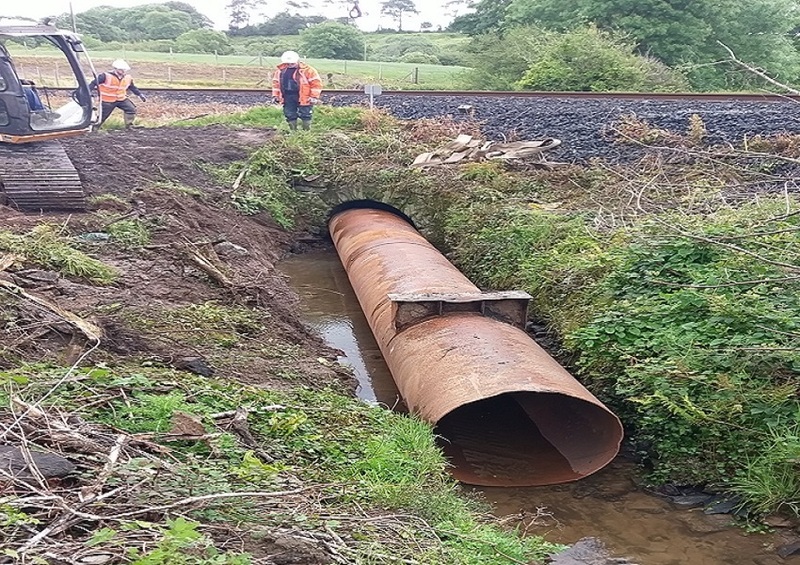 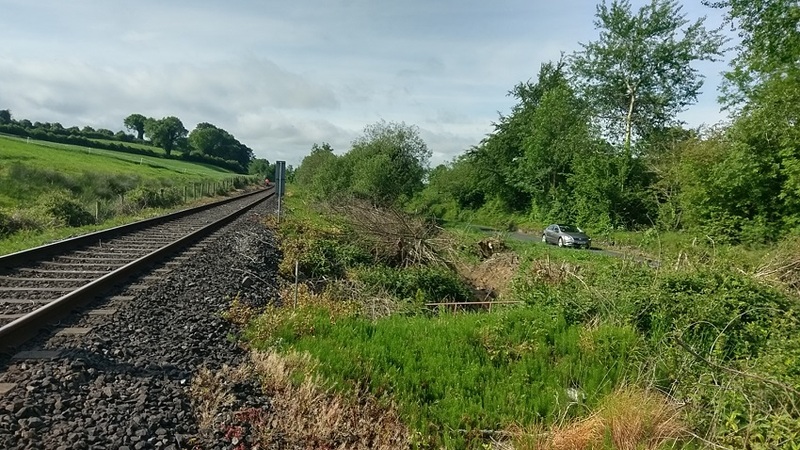 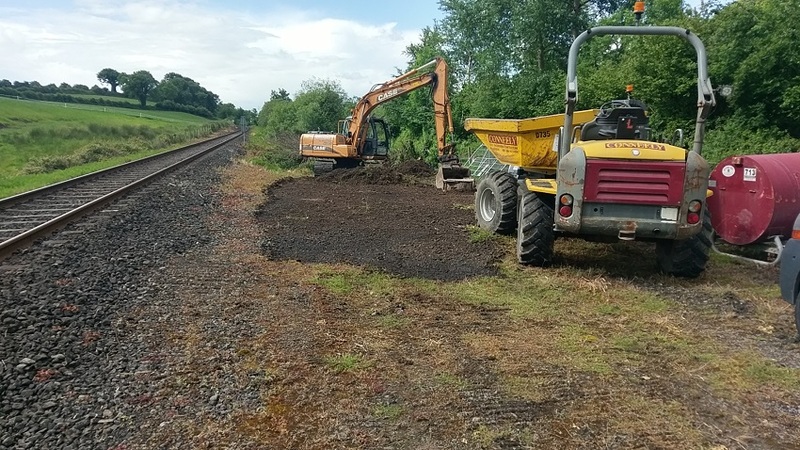 Supply and install new boundary fencing to Irish Rail specification.